Create colourful, custom jewelry with Dot Jewelry. Another great addition to Klutz's fantastic collection of jewelry books. 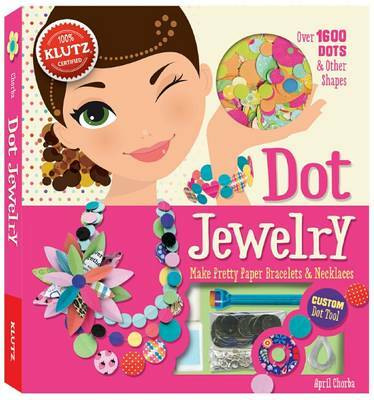 Dot Jewelry lets you make colourful, custom necklaces and bracelets using non-tear paper dots. Simply glue the dots onto durable, clear cord to create one-of-a-kind jewelry that bubbles with pure graphic happiness. Includes over 1500 dots.